The School only provides training on these terms and condition. You (the Pupil) will only purchase the Training on these terms and conditions. These terms and conditions are important and should be studied carefully. Ensure you read all of this agreement. 01. The lesson fee shall be paid in advance of each lesson, using either cash, or credit / debit card. Turning up for the driving lesson without the correct fee will be treated as a "cancelled lesson without giving a minimum 48 hours notice". See Clauses 07 and 08 below. 02. In the event of road congestion please allow a waiting time of 15 minutes. Where possible the Instructor will telephone / text in advance. Any lesson time lost will be added to the end of the normal lesson time if possible, or at a later date. 03. In the event that the instructor is unable to substitute another Instructor for a specific appointment, or in the event of a mechanical breakdown or other course, the Instructor reserves the right to rearrange the lesson to a time convenient to both parties. 04. 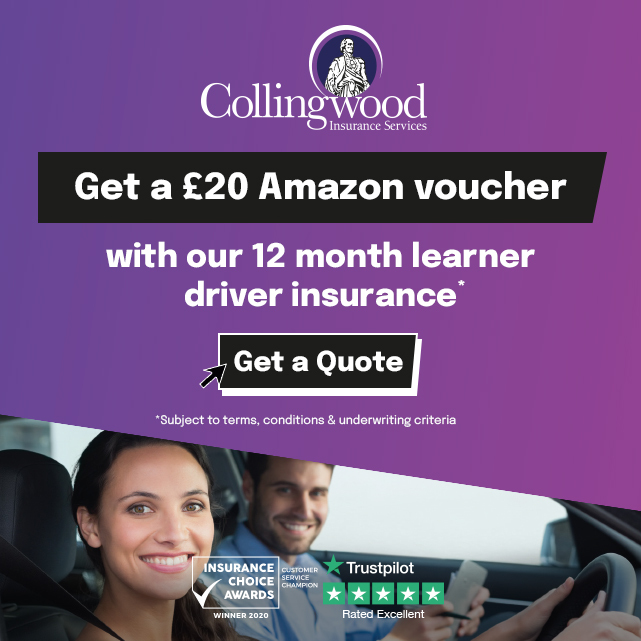 The Instructor shall carry motor insurance covering the pupil whilst driving the tuition vehicle when accompanied by the Instructor or by the Driving and Vehicle Standards Agency Examiner. 05. Pupils are advised to wear suitable, flat soled footwear and comfortable clothing. 06. The Pupil agrees that he / she is duly licensed to drive the tuition vehicle, and read a number plate at a distance of 20 metres - with glasses or contact lenses if normally worn. 07. If the Pupil fails to give the Instructor a minimum of 48 hours notice cancelling / postponing any lesson, the Pupil shall be liable for the lesson fee in respect of that lesson. If the Instructor cancels / postpones a lesson without giving 48 hours notice, then the Instructor may be liable to the Pupil for the Price. 08. If a minimum number of lessons have been agreed for a discounted price and the Pupil cancels the training before the minimum number of lessons have been completed, then the Pupil will be charged the discount for each lesson completed. In addition the Pupil will pay £5 administration charge for each of the lessons not completed. If the Instructor cancels the training before the minimum number of lessons have been completed otherwise than in accordance with these terms and conditions, then the Instructor may be liable for the discount for each lesson completed. 09. If a minimum number of lessons have been agreed for a discounted price, then this minimum number of lessons must be taken within six months of payment. Failure to do so will result in the loss of the total fee for all the minimum number of lessons. 10. Pupils must be aware of any medication they are taking that may affect their ability to drive safely, and consult their G.P. before taking lessons if in any doubt. Any disabilities must be declared to the Instructor prior to the start of the driving course. 11. If, upon arrival for an appointment, the Instructor deems the Pupil unfit to undertake that lesson through misuse of drink or drugs, then the Instructor has the right to cancel that appointment and the Pupil will be liable for the payment of the fee. 12. The Pupil must reach a standard considered to be safe before taking the tuition vehicle on test. In the interest of road and public safety, the Instructor reserves the right to withhold the use of the Driving School car for the government test, if it is the opinion of the Instructor that this standard has not been achieved. 13. Mobile phones are to be switched off or switched to "silent mode" for the duration of the lesson. Under no circumstances are mobile phones to be answered during a lesson without the sole discretion of the Instructor, and certainly not whilst driving. 14. All our Instructors are fully licensed by Driving and Vehicle Standards Agency and therefore conform to the DVSA ADI´s Code of Practice (copy available on request). As part of the registration process, each instructor is checked by the CRB (Criminal Records Bureau) prior to being licensed. 15. If the Driving School agrees to take lessons in a car supplied by the Pupil, the Pupil hereby declares that such vehicle is suitably taxed, insured, has a current MOT if applicable, roadworthy, and legal to drive on the public highway. 17. The agreed price to hire our Automatic Driving School Car for the Practical Driving Test is £80.00. This includes a minimum one hour lesson prior to the test. Exemptions: No liability is accepted by the Driving School for : a) cancellation of lessons or government tests due to mechanical breakdown / accidental damage, b) cancellation of tests by the DVSA, c) practical test eyesight failure, d) termination of the practical test by the DVSA examiner due to tyre pressure / puncture, or electrical failure of light/s or light bulb failure of the School Tuition Car prior to / during the practical driving test, e) any consequential cost incurred by the pupil as a result of postponement or cancellation of any government test. (Please note that as a matter of standard operating procedure tyres, tyre pressures, lights and all fluids are fully checked on a regular basis and prior to the practical driving test), f) cancellation of the practical test by the DVSA due to arriving late for the allocated test appointment time. It is hereby expressly agreed that these terms and conditions are made solely between the Instructor and the Pupil. Subsequently the Pupil acknowledges that the School has no liability to the Pupil in respect of any loss, injury or damage arising from the use of the tuition vehicle or from any acts or omissions of the Instructor. If the Pupil is under the age of 18 years, then a Guarantor (e.g. parents / guardian) must be obtained to guarantee the obligations of the Pupil under these terms and conditions.